John McCain was a patriot who served his country—a Senator, Navy man, family man, and above all, a man of conviction. 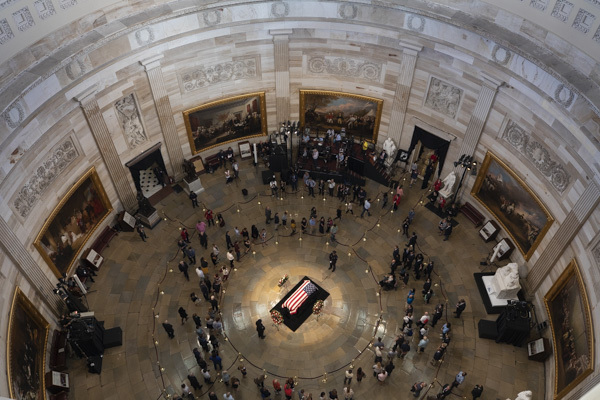 And today members of the public and the U.S. government were able to pay their respects as he lay in state in the U.S. Capitol Rotunda. 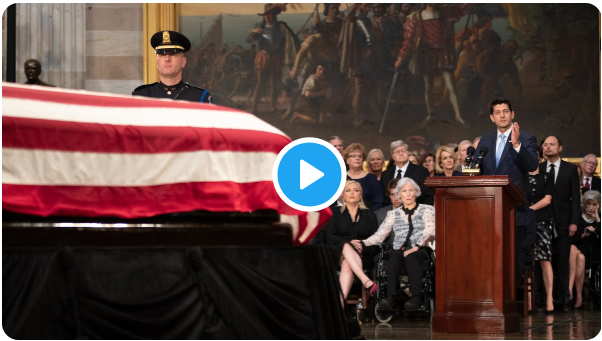 May God bless John McCain, and may God bless the country he so dearly loved. 1. 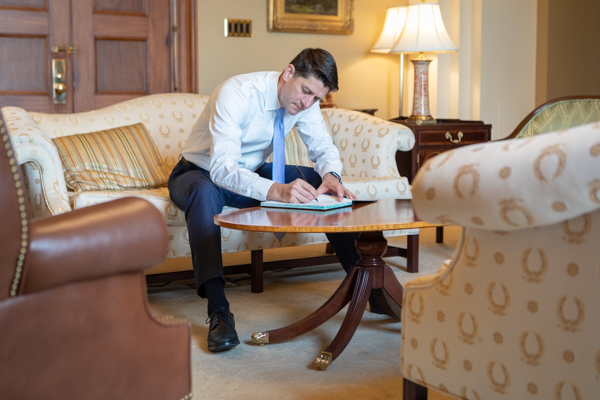 Speaker Ryan writes a personal note of condolence to Mrs. Cindy McCain and the rest of the McCain family. 2. 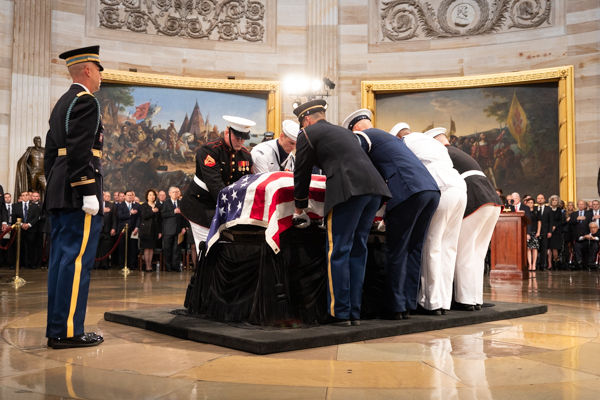 The Armed Forces Body Bearers carry the casket of Senator (and Navy Captain) John McCain into the U.S. Capitol Rotunda. 3. 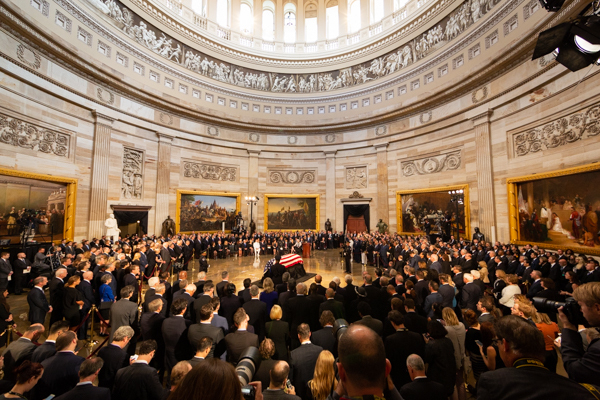 Members of Congress, the Cabinet, and military leaders came to pay their respects to the late Senator McCain. 4. 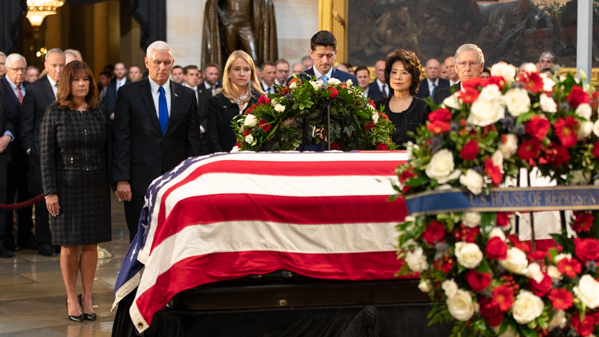 Vice President and Second Lady Pence, Speaker and Mrs. Ryan, and Leader McConnell and Secretary Chao say their final goodbyes to their friend and former colleague. 5. Following the official service, thousands of Americans came to the Capitol to pay tribute to the life and sacrifice of John McCain. To watch the full ceremony from this morning, click here or the video image below.